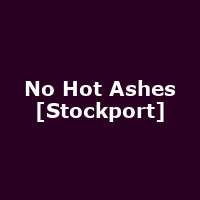 Alternative rock/indie band from Stockport, featuring Isaac Taylor (vocals/guitar), Luigi Di Vuono (guitar/backing Vocals), Matthew Buckley (drums) and Jack Walsh (bass guitar). "The sound they have settled on is heavy bass infused Chilli Peppers meets James Brown. They have developed their own brand of future-psych funk."